The Australian Remembrance Trail (ART) honours Australian servicemen and women who battled enemy forces along the Western Front during the First World War. Building on the efforts of local Belgian and French communities over many years, to commemorate and remember Australian service, the ART links sites of significant Australian battles. The ART includes museums, memorials, cemeteries and other related points of interest. Visit the In Flanders Field Museum featuring Ieper (Ypres) at war and the great battles fought nearby between 1914 and 1918. A short walk away is the Menin Gate Memorial, site of the nightly Last Post Ceremony. The Plugstreet 14-18 Experience tells the story of the 1917 Battle of Messines. Soldiers of the Third Australian Division played a key part in this significant victory. Nearby is Toronto Avenue Cemetery, the only all-Australian cemetery in Belgium. Visit the Memorial Museum Passchendaele 1917 with its interpretation of the 1917 ‘Flanders Campaign’, which aimed to drive the Germans from western Belgium. A section of the museum highlights the costly Australian participation in what became known simply as ‘Passchendaele’. Nearby is Tyne Cot Cemetery, the largest Commonwealth War Graves Cemetery in the world. More Australians are buried here than in any other war cemetery in Europe. Also nearby in Polygon Wood is the Fifth Australian Division Memorial, and Buttes New British Cemetery. The story of Australia’s disastrous first battle on the Western Front is told at the Battle of Fromelles Museum. Within 24 hours at Fromelles on 19–20 July 1916, more than 5,500 men of the Fifth Australian Division became casualties, and some 1,900 died. Next to the museum is the Pheasant Wood Military Cemetery, the first new cemetery established by the Commonwealth War Graves Commission in 50 years. 250 soldiers (including 219 Australians) were reinterred here after their remains were recovered from a nearby mass grave in 2009. The nearby VC Corner Australian Cemetery and Memorial lists the names of 1,179 Australians ‘missing’ at the Battle of Fromelles. Buried here are the remains of 410 of these men. The nearby Australian Memorial Park features the bronze sculpture ‘Cobbers’, depicting the bravery and compassion of Sergeant Simon Fraser. The Jean and Denise Letaille Museum Bullecourt 1917 contains a wealth of objects associated with the two major Australian actions fought here in April and May 1917. More than 10,000 Australians were killed or wounded in these battles and more than 1,100 were taken prisoner—the largest number of Australians captured during a single engagement in the First World War. 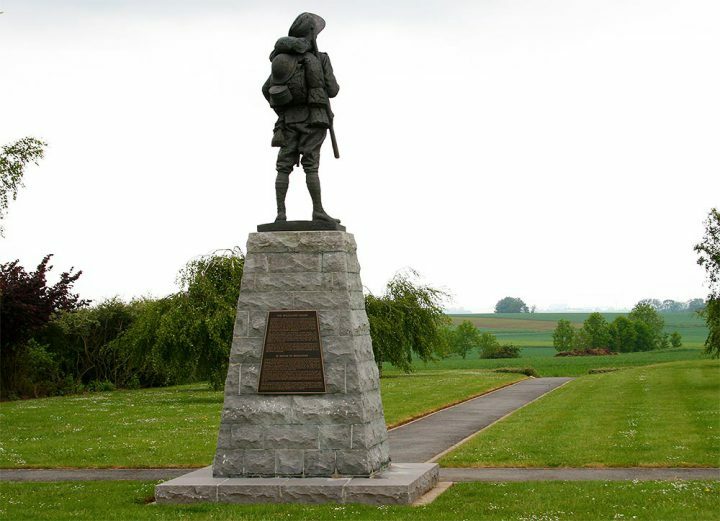 Close by, the ‘Digger’ statue at the Australian Memorial Park gazes out over the fields of Bullecourt, a tribute to the Australians who fought here. A service is held at this memorial every Anzac Day. View one of the most unusual cemeteries on the Western Front, the Anglo-French Cemetery. In two facing plots lie 300 French and 300 British Empire soldiers, symbolising the Anglo-French alliance of the First World War. Ten Australian soldiers, only four identified, are buried here amongst the British Empire graves. The Thiepval Memorial, towering over the Anglo-French Cemetery, lists the names of more than 72,000 British soldiers ‘missing in action’ in the Somme region. The First Australian Division Memorial commemorates all the major battles of the Division on the Western Front between 1916 and 1918. It is sited where, between 23 and 26 July 1916, the Division fought its first significant action in France, suffering more than 5,200 casualties. Just beyond Pozières, The Windmill Site ‘marks a ridge more densely sown with Australian sacrifice than any other place on earth’. Within view of this site, between 23 July and 5 September 1916, Australia suffered 23,000 casualties, more than 6,700 of whom died. Group portrait of eight unidentified members of the 2nd Division holding a sign that reads 'We want our Mumie' [sic]. Several of the soldiers wear identity bracelets in the shape of Australia. Credit: AWM - From the Thuillier collection of glass plate negatives. Visit Vignacourt, where men of the Australian Imperial Force posed for portraits at the Thuillier’s Farmhouse during times of rest behind the lines. Nearby, 424 Australians are buried in the Vignacourt British Cemetery. Visit the Franco-Australian Museum at the Victoria School. Here, the collection of the FrancoAustralian Association testifies to the abiding personal links between the town and Australia, begun during the Battle of Villers-Bretonneux on 24–25 April 1918 when the Australians drove the Germans from the town. In November 1993, the remains of Australia’s Unknown Soldier were removed from the Adelaide Cemetery at Villers-Bretonneux, and reinterred at the Australian War Memorial,Canberra. Outside Villers-Bretonneux, on the Australian National Memorial, are inscribed the battle honours awarded to the Australian Imperial Force for service on the Western Front between 1916 and 1918. Beneath these inscriptions are the names of more than 10,700 Australians who died in France and have ‘no known grave’. Visit the Australian Corps Memorial, where one of the Australian Imperial Force’s swiftest victories was achieved on 4 July 1918, and which became a template for military operations that followed. To the north, beyond the River Somme near Sailly-le-Sec is the Third Australian Division Memorial. 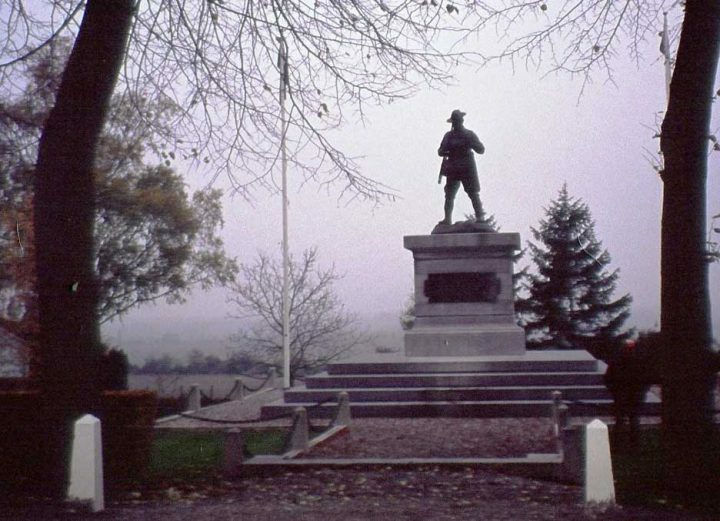 Visit the Second Australian Division Memorial at Mont-St-Quentin, site of the Division’s greatest victory. The capture of Mont-St-Quentin unhinged the German defences on the Somme. Visit the Australian gallery at l’Historial de la Grande Guerre in Péronne, and follow interpretive trails around the village and Mont-St-Quentin. The Fourth Australian Division Memorial, on the heights above Bellenglise, marks the farthest point of advance of the Division’s infantry in their final battle of the war. Less than two months later, the war was over.